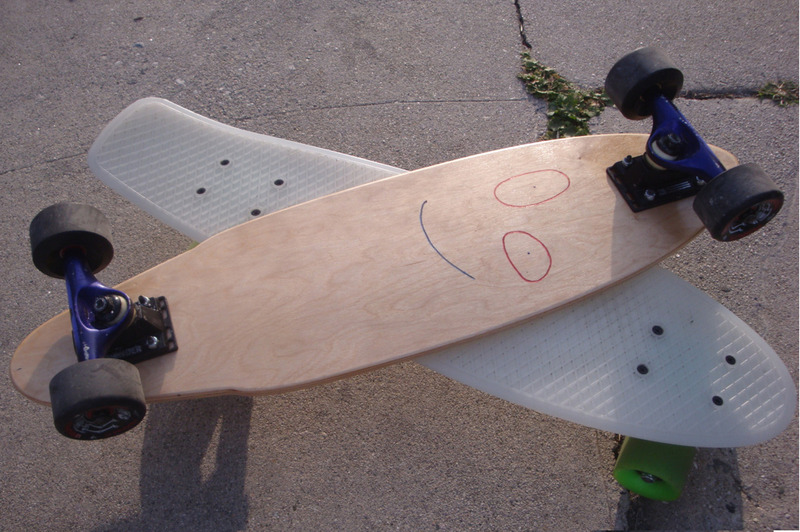 This is a skateboard deck that I pressed together in 2013. The deck comprised of around 4 layers of 1/8” Baltic Birch plywood. 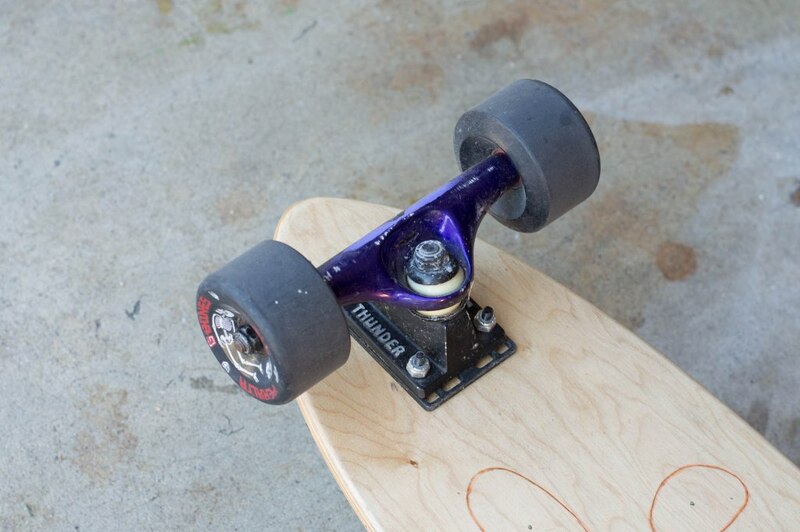 To get the curvature of the skateboard right, I made a pressing form. I cut the pine ribs out on the bandsaw and screwed them onto a board. 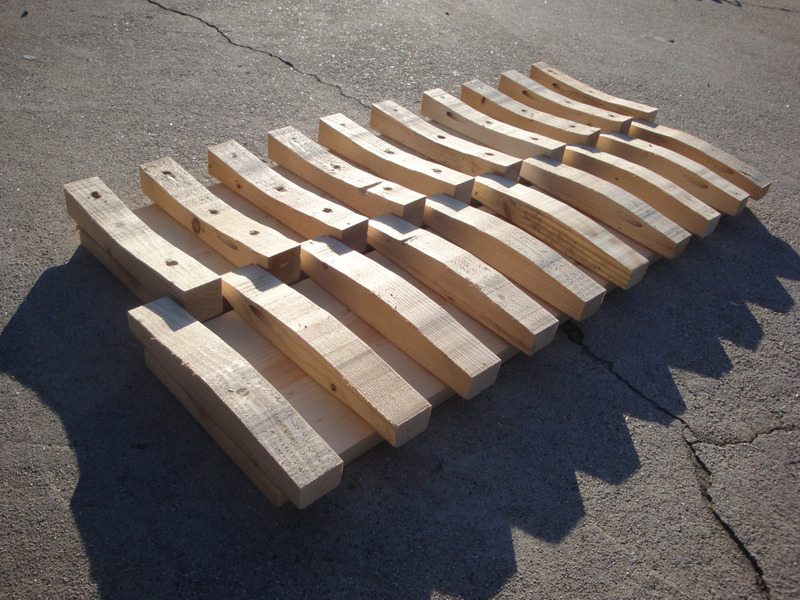 The top and bottom ribs have a larger curve radius towards the middle for easier turning. Glue was spread over each surface of the plywood layers. The layers were stacked and centered onto the bottom form. The top form was placed and forced into place. I did not have enough clamps hold the press together, so I just placed heavy objects on top. 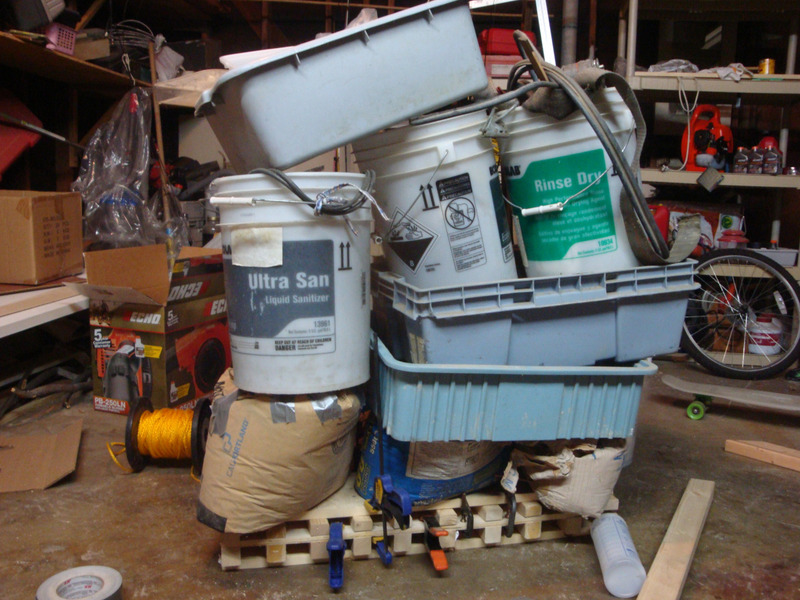 The heavy objects I had around were cement bags, nail bins, toolboxes, etc. When the glue finally dried, I slapped a template over the curved plywood and cut it out with a jigsaw. The little design was scratched in with a knife and burnt in with a soldering iron. The deck was finished with clearcoat spray. I must have put at least 10 coats on it.